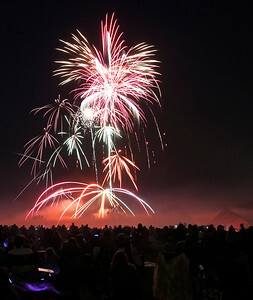 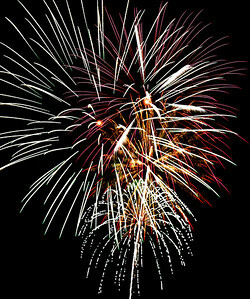 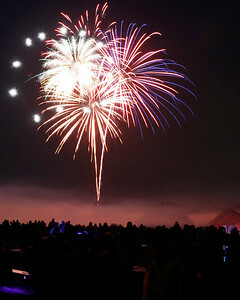 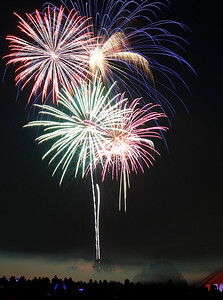 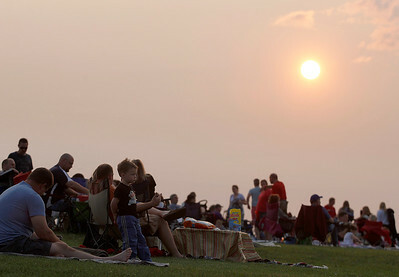 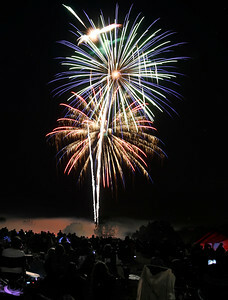 Matthew Apgar - mapgar@shawmedia.com Hundreds pack Lions Park for the annual fireworks display on Friday, July 03, 2015 in Cary. 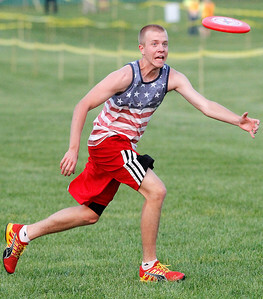 Matthew Apgar - mapgar@shawmedia.com Eric Fischer of Cary, 18, chases down a flying disk at Lions Park before the annual fireworks display on Friday, July 03, 2015 in Cary. 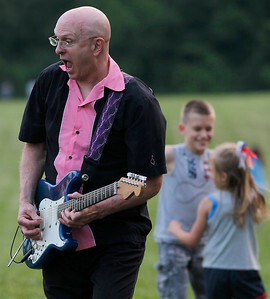 Matthew Apgar - mapgar@shawmedia.com The Original Rockin' Fenderskirts guitarist Jim Matheson plays in the crowd at Lions Park before the annual fireworks display on Friday, July 03, 2015 in Cary. 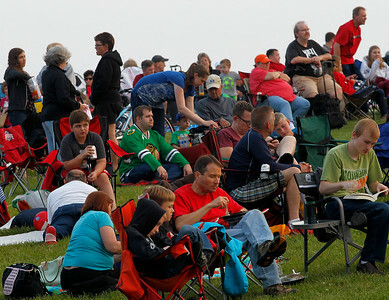 Hundreds pack Lions Park for the annual fireworks display on Friday, July 03, 2015 in Cary.